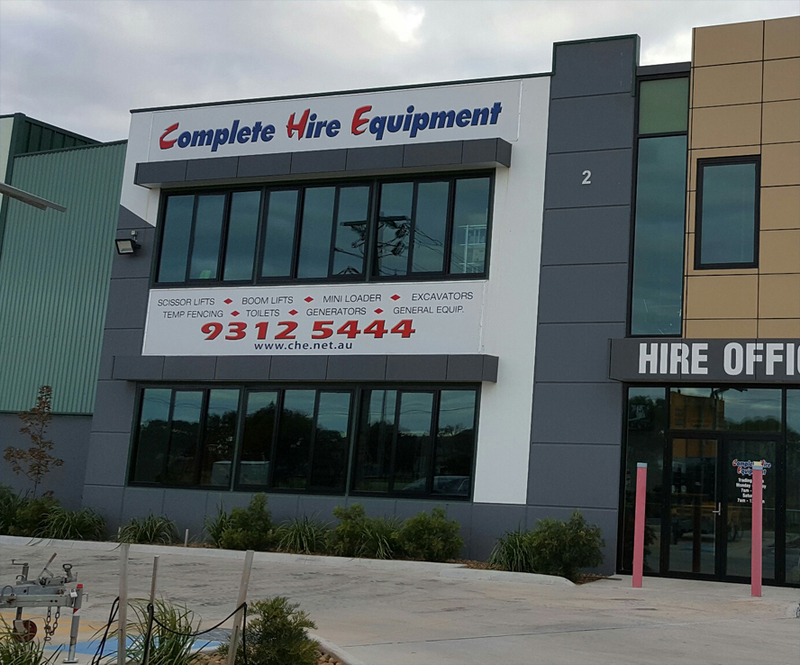 Complete Hire Equipment Pty Ltd is a privately owned Victorian enterprise established in Melbourne in 2003. Complete Hire Equipment Pty Ltd started out modestly in a small 600 sq factory in Laverton North, with a few bits and pieces of equipment that included Two 20 ft Electric Scissor Lifts, one 43 ft Electric Knuckle Boom, two pressure washers, one Dingo Mini Loader and a handful of power tools. Within three months Complete Hire Equipment had grown at such a rapid rate we needed to purchase more equipment to keep up with the demand, as well as hiring our first employee. Three short years saw Complete Hire Equipment bursting at the seams due to its much larger range of equipment and staff numbers now increased to five people, so a search was started for a larger and more Hire friendly depot. A 2,500sq property was found in Fairbairn Road Sunshine West, which comprised a warehouse and hardstand yard, so the company moved in May 2006. In the same year a computerized Hire Program was purchased which streamlined the hire process for customers and staff alike. This was a big change for a company that had been doing hire dockets and service documents manually since 2003. Complete Hire Equipment kept growing at a rapid rate by increasing its ever growing fleet. 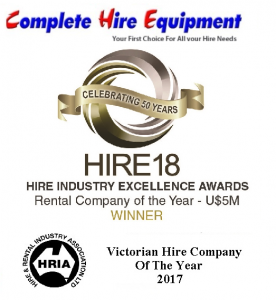 In the following years the Companies range and knowledge of equipment saw us grow into one of Melbourne’s leading suppliers of Hire Equipment to the Film and TV Industry, contractors, tradespeople, industry and the home renovator. The continued growth to both our fleet and our personnel, saw yet another need for larger premises, which culminated in our latest move in May 2017 to Grieve Parade Altona North . This move to modern, self-contained premises maintained our historical location within the western suburbs and enabled us to present a weather proof access area to our customers. Australian and Family owned company.